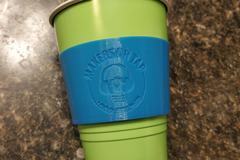 Come checkout the MakersOnTap booth at MRRF-2019 and make sure to bring one of the awesome printed cup sleeves to get a special gift in a cup!! We included the source for the different sleeves so remixes are encouraged!! The goofier the better.